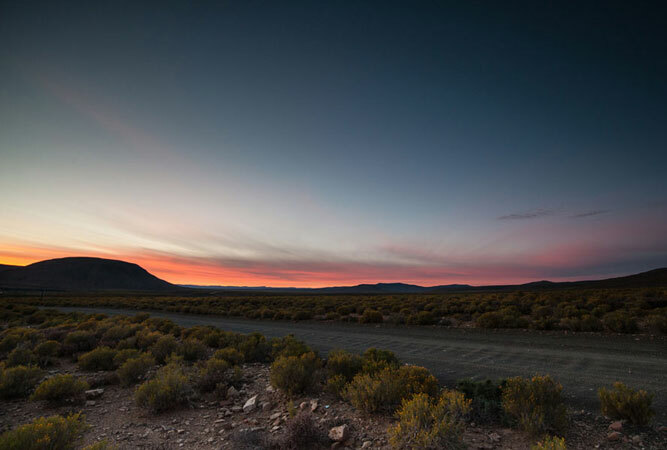 The Northern Cape is easily described in terms of remoteness. Both vast and under populated, by comparison with anywhere else in the country, it annexes 373 000 sq km – most of it the far-flung, empty spaces of the hinterland defined by relentless heat and desert sand dunes; the landscape knobbly with quiver and Halfmens trees. Yet this aridness also relinquishes some of nature’s most generous treasures – the richly green wine-producing banks of the Gariep Dam, the legendary Augrabies Falls, dunes teeming with wild life, and spring flowers that oblige a desert mutation from a barren terrain into a latticework of blooms. 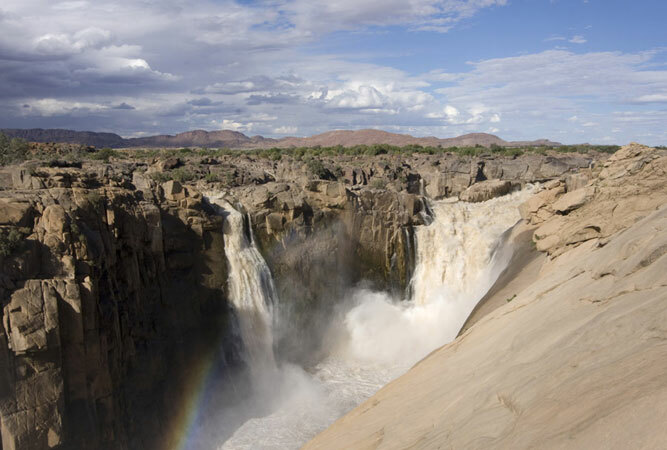 The Augrabies Falls plunge 200 feet, a wall of thundering water so loud that it was named ‘place of noise’ or Aukoerabis by the local Khoi people. The falls are 120 km west of Upington in the Augrabies Falls National Park, an underrated reserve rich in endemic and indigenous plants, though by default the deafening falls that send up huge spikes of spray are the main attraction. When in peak flow the sheer volume of water forcing its way through the narrow channel easily compares with the greats like Niagara and Vic Falls. Known locally as Die Oog, the Eye produces 20 million litres of crystal clear water on a daily basis, even in times of drought. The locals regards it as a sacred site and credit it with healing properties. Not only does it supply water to Kuruman, but it dams up to form a small lake on the N14, in the middle of town. Although the surrounding park is, by all accounts, a little neglected. Right up in the far north western corner of the country, Hakskeen Pan is a vast flatness; a dry lakebed. As far as the eye can see, it is flat and barren. And thus perfect for a 1 000 mph rocket car. Whilst there is little that is natural about the Bloodhound SSC racing car and its 33 000 horsepower jet, it will use Hakskeen Pan as a race track, cleared of rocks and stones by a team of local people. In the meantime it iss used by the likes of Lamborghini to test their cars, and speed freaks who gather for the annual Kalahari Speedweek. 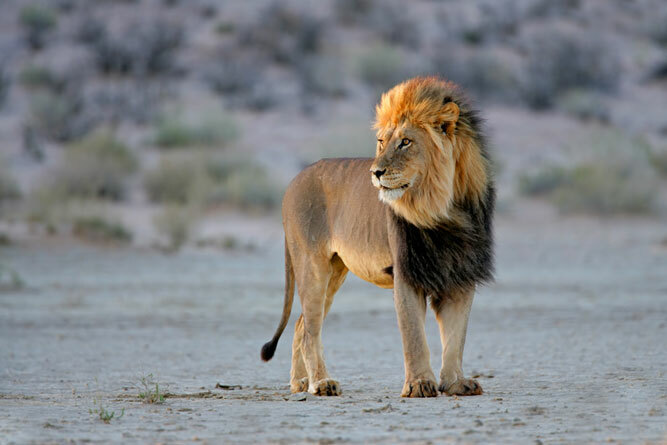 Nearly twice the size of the Kruger National Park (even if two thirds of it lies in Botswana) the Kgalagadi is a rich desert experience characterised by the dry river beds of the Nossob and Auob rivers said to flow but once a century, electric storms, high-in-iron-oxide red sand dunes, sightings of black-maned kalahari lions, great balls of bird nests, camelthorn trees along river beds, the oryx (gemsbok) after which the park is named, and star-charged skies. Thousands of the lesser flamingo use the Kamfers Dam as one of only four breeding sites in Africa. For any birder this is one of the highlights of a visit to Kimberley. Kamfers Dam is a permanent wetland just up the road from one of the biggest mining towns in the country, possibly part of the reason for an alert with regards to high pollution levels in the dam. The smallest of the four flamingos, and not quite as pink as the flamingos of the Caribbean, these near-threatened birds congregate in numbers that exceed 60 000 birds on the dam. Roughly 22 km southwest of Kamieskroon the Namaqua National Park lies within a biodiversity hotspot that protects the largest concentration of succulent plants in the world. Head here in spring and from one end of the park to the other is wall-to-wall spring flowers; a sight visitors to the country are frequently here to experience. 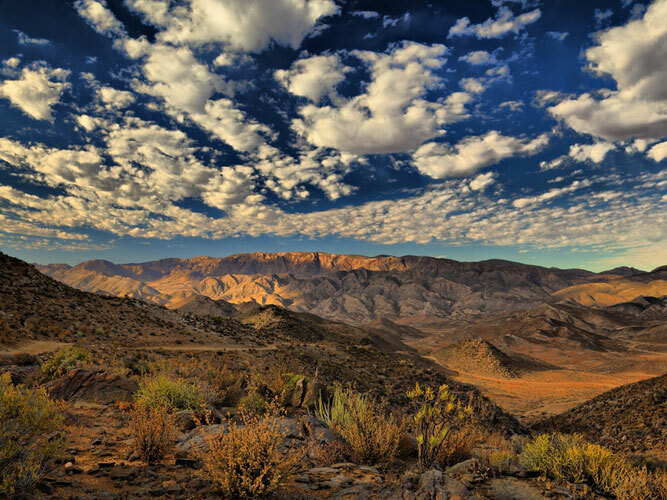 For the low-rainfall desert area of the Namaqua evokes the most incredible display of anywhere in the region. Adventure motorcycling and 4×4 trails don’t come better than the rugged, mountainous terrain of the Northern Cape. Its many vast flatlands, towering sand dunes, folded mountains,ragged ditches, huge network of well-maintained dirt roads, and old prospector trails combine to form a wilderness landscape few adventure motorcyclists or drivers can resist. This is ‘ride for a whole day without seeing anybody’ country filled with geological wonders and untouched terrain. This is South Africa’s eighth World Heritage Site; a glorious mountainous desert owned and managed by the local community of Nama people, who still live a semi-nomadic pastoral existence following centuries’ long seasonal patterns. 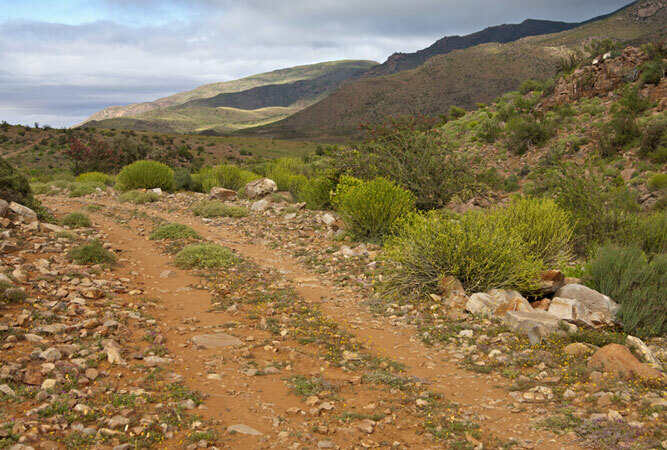 The Nama people collect medicinal plants and have a strong association with different areas and places of the landscape, whilst preserving the succulent Karoo vegetation by taking only what they need when they need it. They live in three small villages that back onto the Richtersveld – Lekkersing, Kuboes and Eksteenfontein – and welcome visitors. On the top of a hill just outside the Karoo town of Sutherland is the Southern African Large Telescope (SALT), the southern hemisphere’s largest optical telescope. Notwithstanding its appeal, and its propensity for snow during winter, Sutherland’s major attraction is its stars. For it is one of the best locations in the world for stargazing. If the night sky with a naked eye is too difficult for you, visit SALT on a guided tour. And then just when you thought the Northern Cape was all desert, you stumble across a valley an hour’s drive north of Kimberley, virtually on the border with North West, known as the Garden of Eden of the desert. 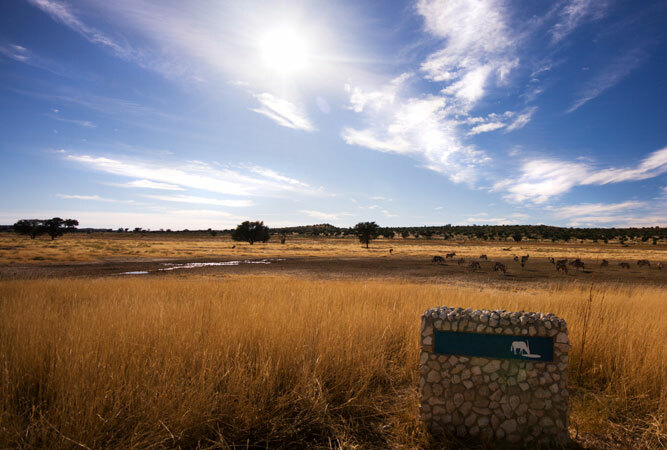 The Vaalharts Valley is fed by two huge rivers – the Vaal and Harts (hence the name) rivers that feed a vast irrigation scheme that, in turn, supports some 1 250 farms in the valley. Camelthorn, katdoring, haak-en-steek and trassiebos trees pepper the region, whilst local crops include olives, pecan nuts, citrus, wine, cotton and stone fruit.